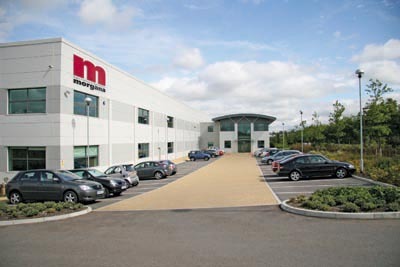 The UK headquarters, based in Milton Keynes, is a 50,000 sq. ft. facility housing equipment design, manufacturing, electronics assembly, spare parts distribution and the UK Sales and Service organ­isation. A purpose built showroom and training facility is used on a daily basis by customers from all over the UK and Europe to test and evaluate machines. Over 80% of the products manufactured in Milton Keynes are exported and sold through our global distribution network. Morgana has developed a strong presence in all key markets throughout Europe and Africa and continues to grow with its part­ners and through joint ventures in the USA and Australasia. Focus has now increased on rapidly developing markets such as China, India and South America. Key products such as the Morgana AutoCreaser Pro and the DigiFold Pro continue to set the industry standard in this sector. The Morgana SmartScreen touchscreen control and speed, keep these models well ahead of their competitors in terms of accuracy and productivity. Morgana is a preferred finishing partner of all the leading manufacturers of digital print engines both here in the UK and around the world. In February 2013 Morgana Systems was acquired by Plockmatic International AB of Sweden, strengthening its position as an efficient and flexible solution provider. Through this recent acquisition, Morgana will be offering a much extended range of booklet making systems in the future. Plockmatic are a leading developer of in-line finishing solutions for the major print engine manufacturers. The combined product offering of both Companies give a unrivalled range of finishing options to the digital print sector.